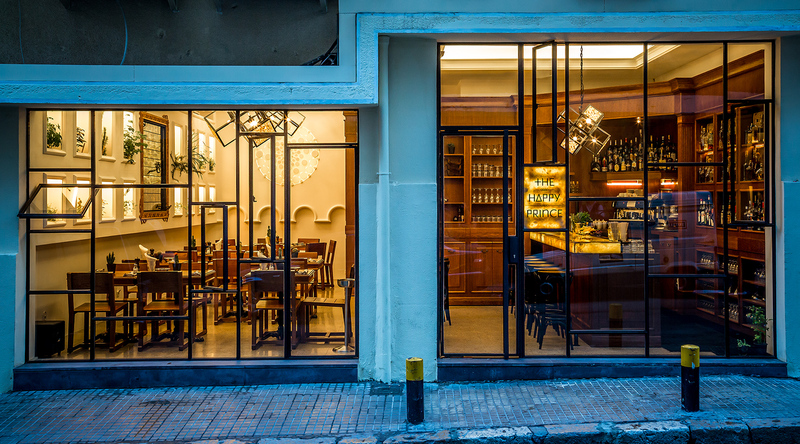 Located in Mar Mikhael, an area fast becoming Beirut’s artistic hub, The Happy Prince is a restaurant and bar that splits its personality in two. 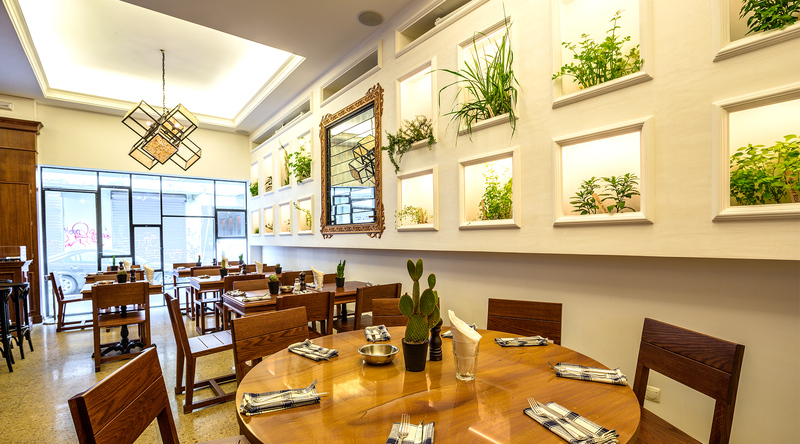 On one side, the restaurant welcomes its diners with a light and breezy mood – fresh white walls carry greenery that organically fall from inset niches, blanketed in soft lighting. Humble wooden tables and chairs mimic the comfort of home. On the other side, the bar beckons patrons to a darker ambiance. 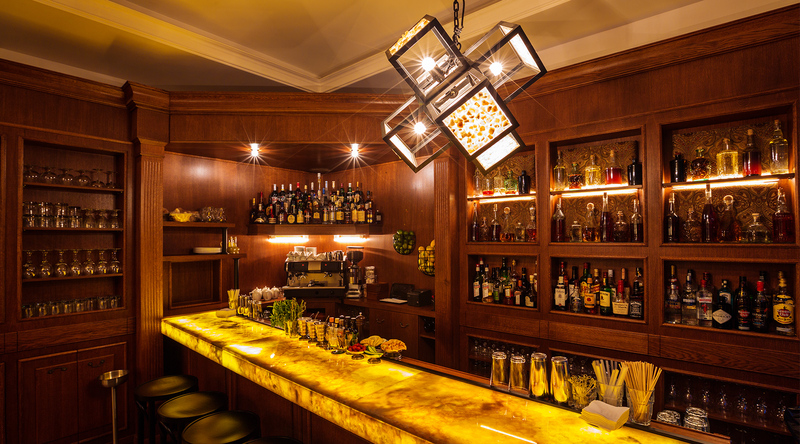 Rich wood holds an array of spirits, and a lit onyx bar top welcomes its clients. Custom made ceiling lights in both restaurant and bar area pull the whole space together. The overall result is a cozy, welcoming space, with no place for pretense. 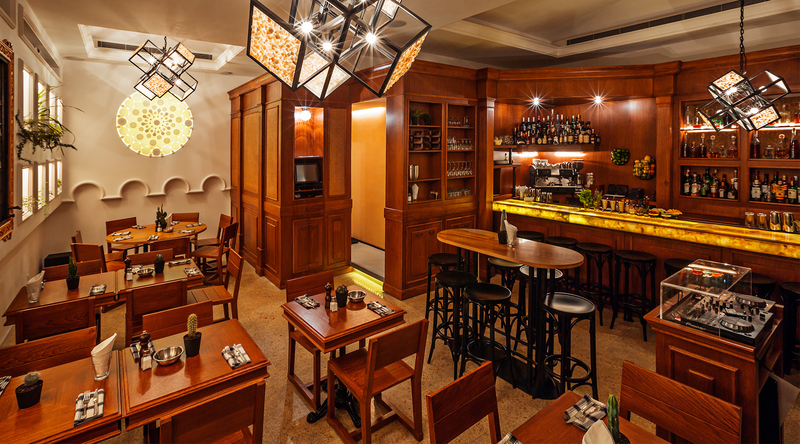 It just is what it is: a place to enjoy a good meal, a great drink in an effortless environment.